Love 💟 and rage 😠 can be so close together. This is a series of posts how I felt while working on my first project with Apollo, GraphQL, and reactjs. Also, you will learn how to set it up! I always have this love 💟 and passion 💪 for new shiny things. The same happened when I saw GraphQL for the first time. I want to learn this new shiny thing 🤩 ! It was a cloudy rainy 🌧 Saturday so I thought to my self it is the perfect time to start a new project. I started with my old good friend create-react-app. That's was easy. You have a react frontend. Now change the directory and start the frontend. Let us add Apollo and GraphQL to the frontend. After some searching on google, I found apollo-boost. The README.md looked good to me so I installed it. Okay, this looks nice. just a boost package the base GraphQL package and the react integration package. clean! lets set it up aka let us create an Apollo client. So the README.md suggested the following code. After reading through that code, I and eslint saw three problems 🤔. 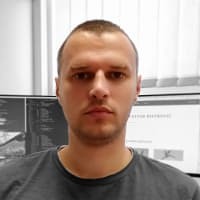 App is not imported and also render() is rendering to the root. Okay, so no copy and paste here with create-react-app and we don't have an endpoint for Apollo right now 😩. Google to the rescue again 🙏. 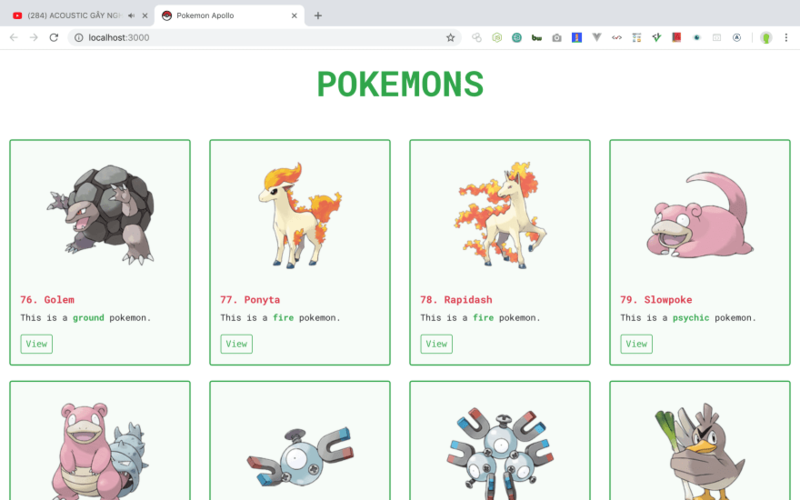 Searching for open graphql endpoints I found an endpoint for pokemon! Nice. the URI is https://graphql-pokemon.now.sh. Okay, problem one solved. 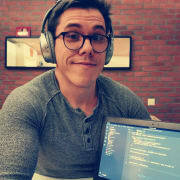 Let's start to change our create-react-app. First, create a file src/apollo.jsx with the following code. We imported ApolloApp and wrapped the App in ApolloApp. Yeah, the naming is not the greatest. Save and check if everything is still working! See if the terminal and localhost:3000 is happy 😊. The pokemon GraphQL endpoint is very limited. We can only query by name or by id 😯. Create a file src/PokemonByName.js and add the following code. 😵 Puh, that's a lot of code! 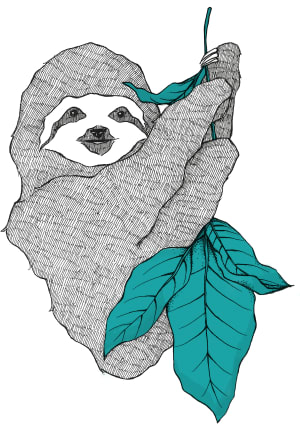 We are creating a query named GET_POKEMON. gql is a template language. $name is a variable of the type String and it is required. It is required because there is an !. The Query will return an object with the internal id, the Pokedex number and the name of the pokemon. We are also creating a component where we actually send the GraphQL query. We pass the name of the pokemon as a prop. Then we don't render anything if it is still loading. We render an error if we get one and then we are checking if we actually found a pokemon. If yes then render the name and number and if not render a message that the pokemon with that name was not found. Let's actually make it happen that we can see something on the screen! so change the file src/app.js. to the following. We are importing our new component and then we are adding it three times to our App component. 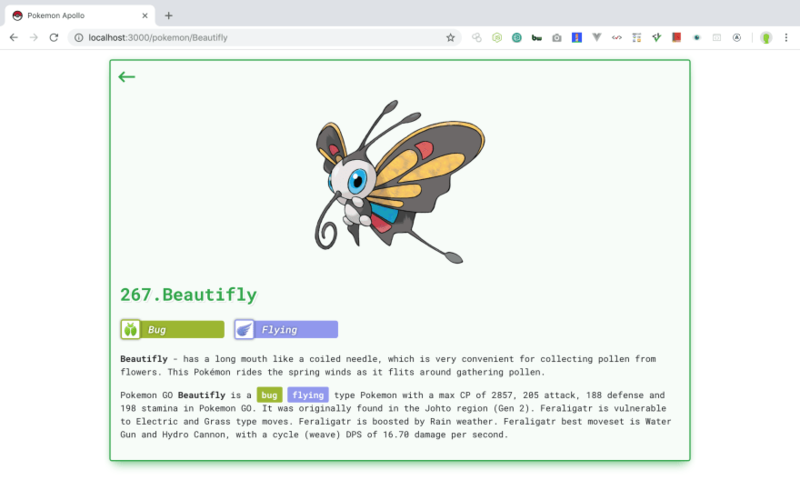 Now just save everything and have a look at your browser how it renders the pokemon on your screen! Beautiful 😍! So now we know how to integrate a GraphQL endpoint into our app. Next time we will try to create our own GraphQL endpoint! I wonder how is that will be (or not).